Out of all the brandy award events held, for me Veritas seems to hold a lot of credibility and is one worth keeping an eye on. This years Brandy award results were for the most part spot on in my mind, one or two surprises but more importantly, a few new comers outside the big producers picking up some accolades for micro scale brandy production. 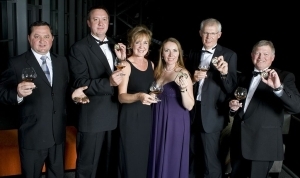 Really great to see some small producers enter this year Veritas brandy awards and be rewarded. Kingna is a small producer just outside of Montagu. I was introduced to their 5 year old from a friend of mine who also raved about the 12 year old. Also great news for Rolf and his team from Blaauwklippen Vineyards for their 8 year old. Recently attended the launch of the Blaauwklippen 10 year old, wonder if this will be entered next year! Good work guys. Out of the double gold winners, I am not surprised to see Flight of the Fish Eagle pick up another double gold – still for me a brandy punching way above its 3 year young brandy status. KWV 15 and 20 are both superb, as is Van Ryns 15. I am happy to see Van Ryns 10 picking up a double gold too, also one of the more underrated brandies – superb in a snifter with one block of ice. Most of the Gold winners seem spot on, surprising to see Collisons up there in the gold, will have to try a bottle of the new stock and see what I’m missing! And I’m also a big fan of the Oude Meester 18, so happy for its recognition! Would like to have seen Uitkyk 10 year old get a little higher on the recognition front, definitely one of my favourites. 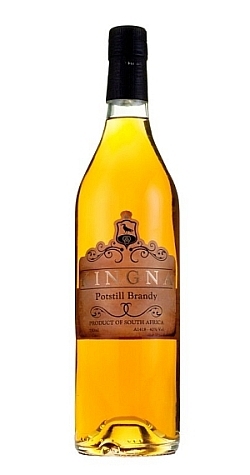 All in all some great results though for our great SA potstill Brandies. Kingna 5 year old brandy - bronze winner!